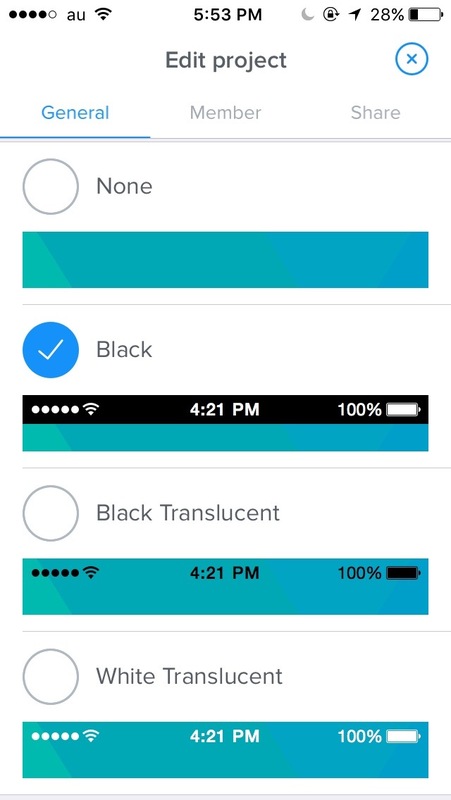 You can change the status bar settings* to better match the design of your projects! 1. Go to “Edit project” by tapping the menu icon at the bottom right corner. 2. Under "General", scroll down to “Status bar style”. 3. Select the style that you'd like and exit the settings menu to save. *Please be advised that due to Safari's latest iOS update, the status bar is not displayed in full when previewing the project after it’s been added to the home screen. Stay tuned for updates with regards to this issue.